Roger Allam is on fine form as Leonard, a bitter, arrogant novelist whose best days are behind him and who is reduced to giving expensive private writing classes to those rich enough to afford his patronage. (…) So given these faults [of the script] – and they are profound – it’s somewhat surprising that this play does keep you absorbed for the two-hour running time. How is that? Well, for one, the acting is superb. It really is excellent. Roger Allam obviously. Look, the guy’s so talented he could make the phone book sound like Shakespeare and here he wrings out every last drop from the script. His Leonard is arrogant, yes, but Roger Allam’s steady reveal that maybe this bitterness is born from a need to shake his students to reality rather than to patronise them is intriguing. Is his absolute cruelty a form of kindness? (…) a standout performance from Roger Allam (…) the most enjoyable moments come when Leonard brutally knocks his acolytes down to size. Pacing broodingly around Kate’s suave, inherited New York apartment, Allam exudes the gravitas of a grand headmaster and, within minutes, has the audience investing in his wisdom like another set of students. Allam excels at the bored drawl and the strategically unimpressed, glum look. We savour the insouciant swagger of his bullying, which extends to blithely insulting levels of forgetfulness, relish too the humour at the expense of his pomposity, chauvinism and ill-disguised lechery. 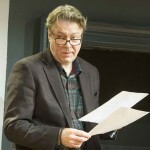 Roger Allam, in Terry Johnson’s spry production, is superb as Leonard: a lizard on a rock, tongue ready to dart. So world-weary he seems to leave a trail of dust behind him, he needs only to raise an eyebrow for everyone in the theatre – characters and audience alike – to quake. But Allam suggests that, beneath that rhino-hide lies something deeper: in fact Leonard, we realise, points each of the writers in the right direction for their particular talents. This is hardly the stuff of compelling drama, but the nice surprise of Terry Johnson’s brisk and elegant production is how convincingly it is all played to allow you to at least enjoy the acting if not the play. That may seem a paradoxical position, like loving the sinner but not the sin. 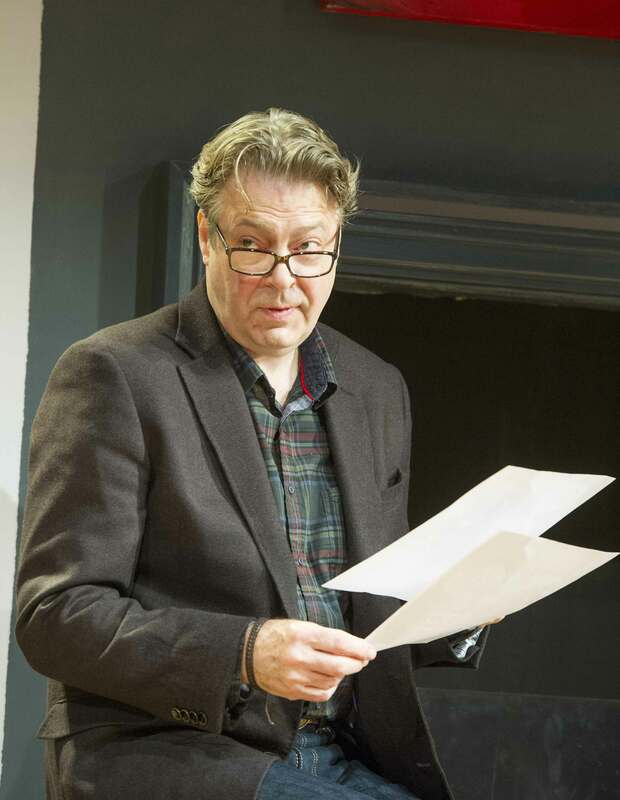 But if Roger Allam is an actor one could watch reading the telephone directory, here it is a wonder to see him making this horrible man seem credible. The quartet of actors as the young writers enduring his masterclass are equally compelling. Although Allam appears to be acting on autopilot, it’s still a Rolls-Royce engine and he is predictably mesmerising. Yet the character is so poorly developed that even he struggles to put flesh on its bones. While we can wallow in that black-coffee voice with its familiar sardonic cadences, Leonard himself is a cipher in his own play. It’s a good laugh, but beyond Allam’s performance and exquisite way with an insult, it’s also the sort of flimsy writing that Leonard would dismiss it in a heartbeat.